DF Canister Lamps - Original House – Decorative Antiques, Vintage Industrial Furniture and Lighting, Cotswolds. Sourced in the South of France these vintage canisters were black when we found them - a classic barn find. 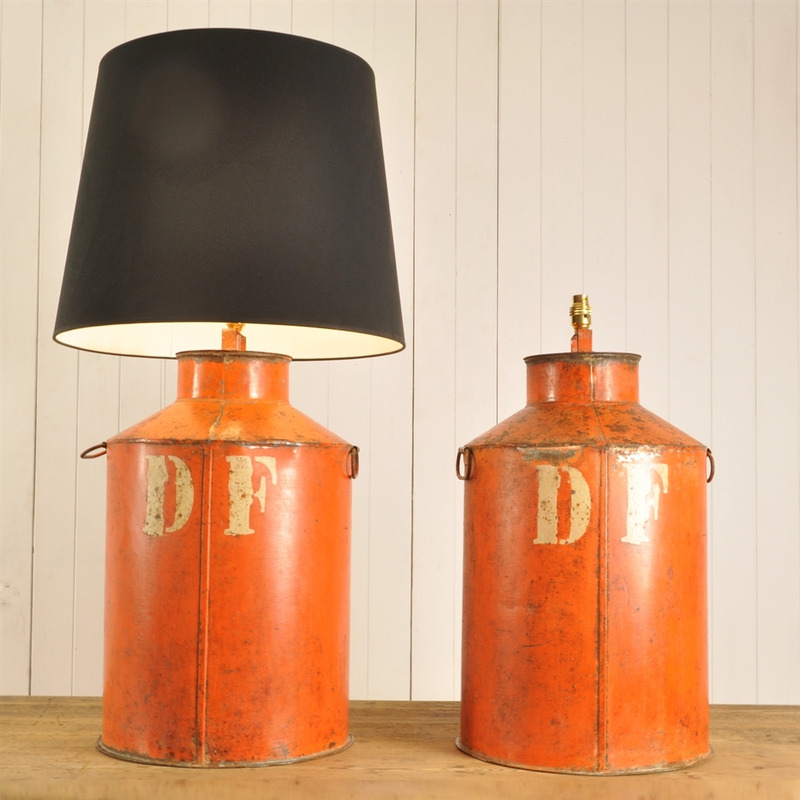 After a good scrub and some tlc we have converted them into these fantastic table lamps. 65 cm h x 37 across.